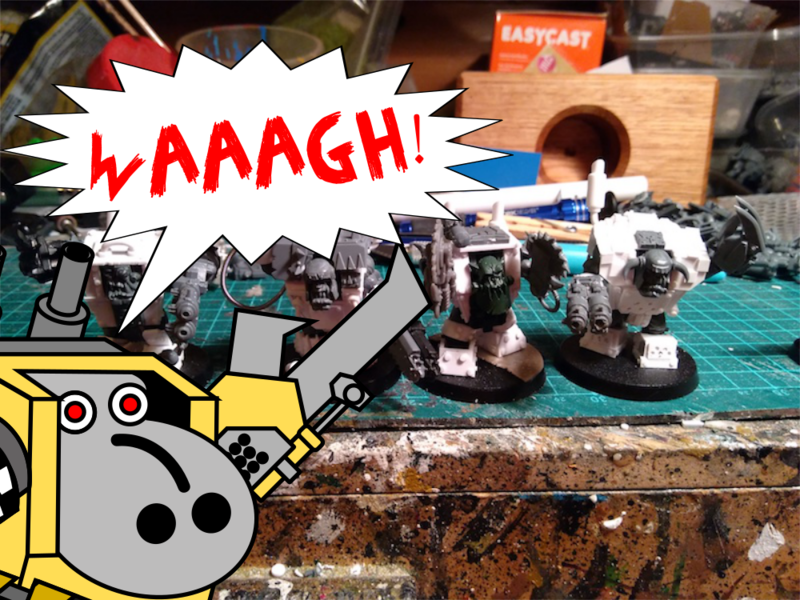 This year at Cancon I bought a huge mixed bag of orky stuff. 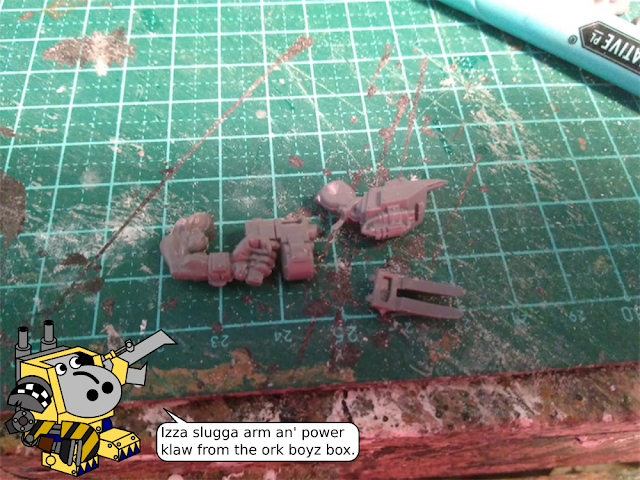 Then mad Juzzy the Flutist gave me his orky stuff. And then I counted the number of nobs I had and found it to be well over twenty, so I figured it would be a good idea to base some Mega Nob conversions on all the spare Black Reach nobs I've ended up with. 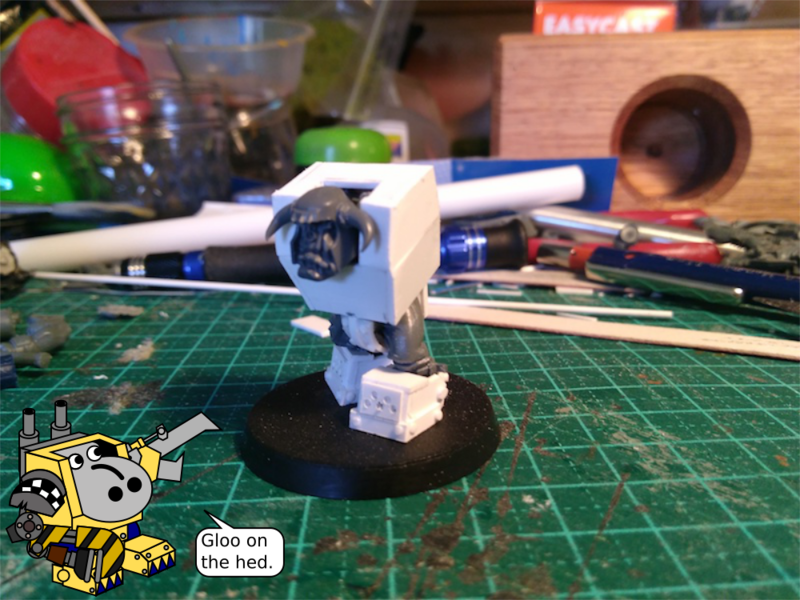 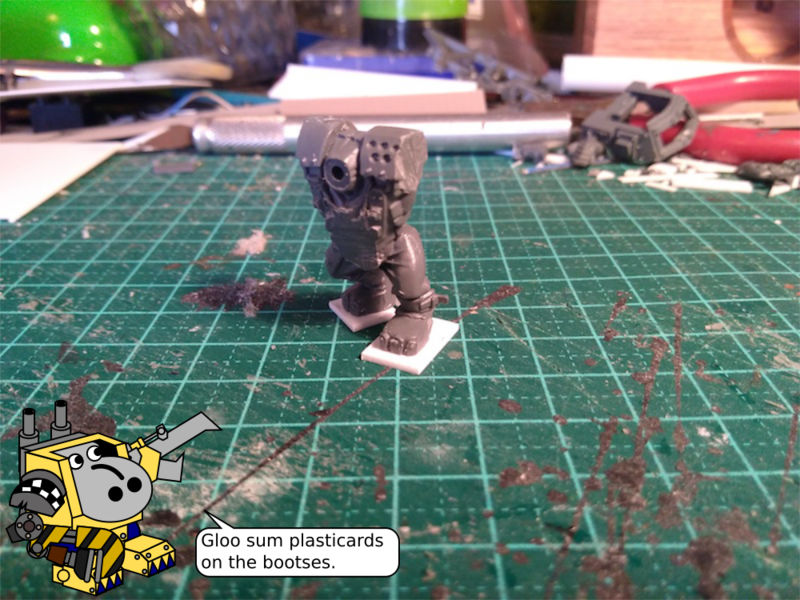 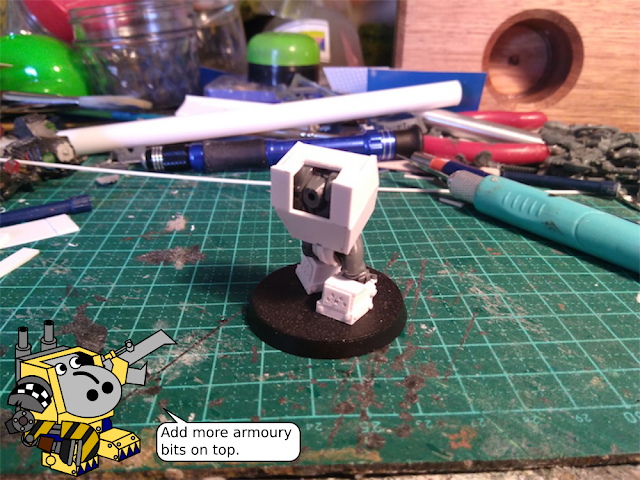 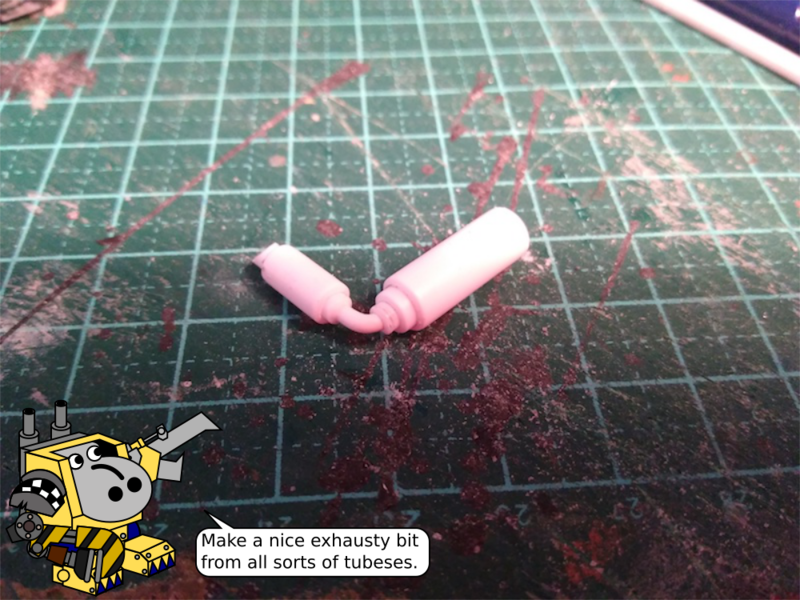 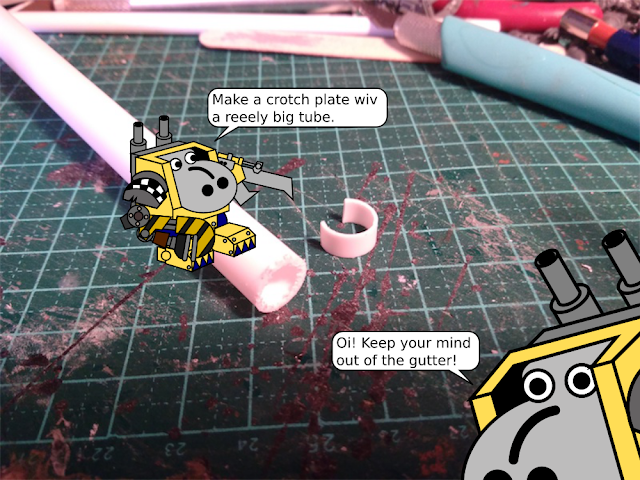 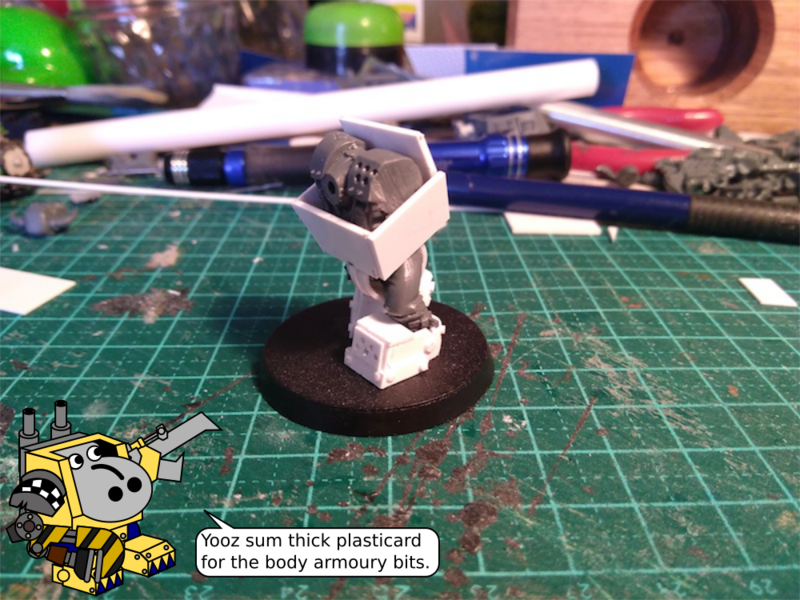 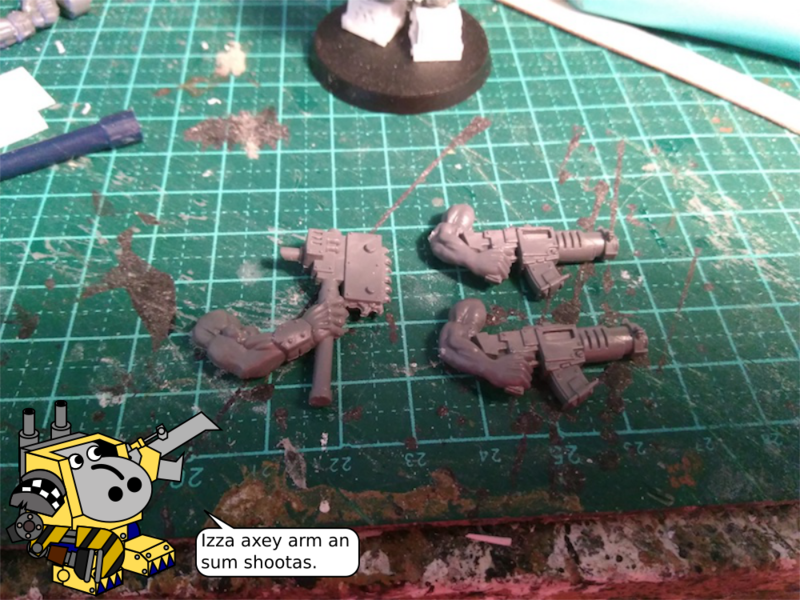 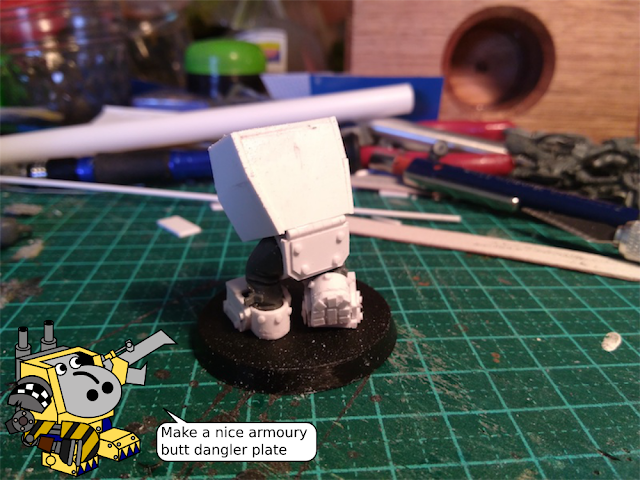 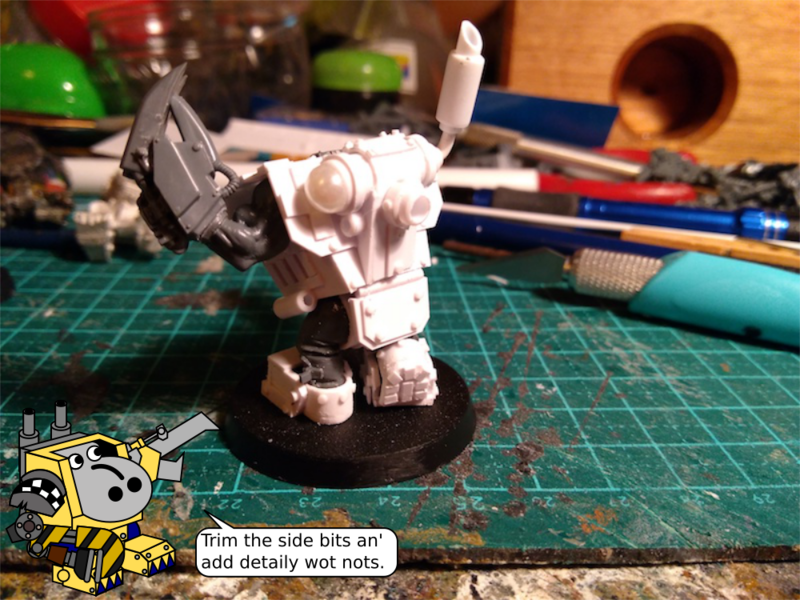 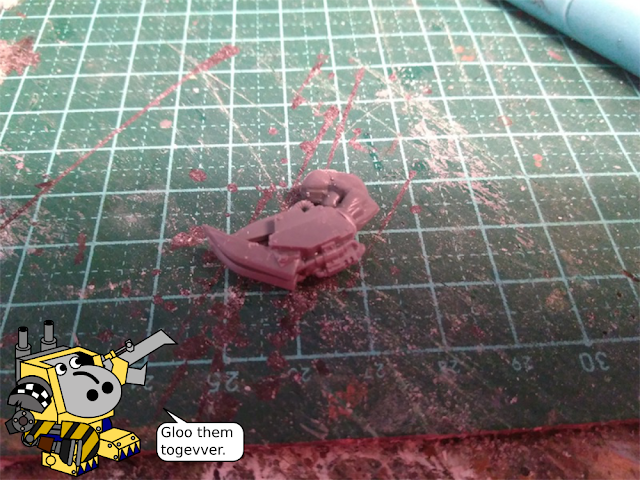 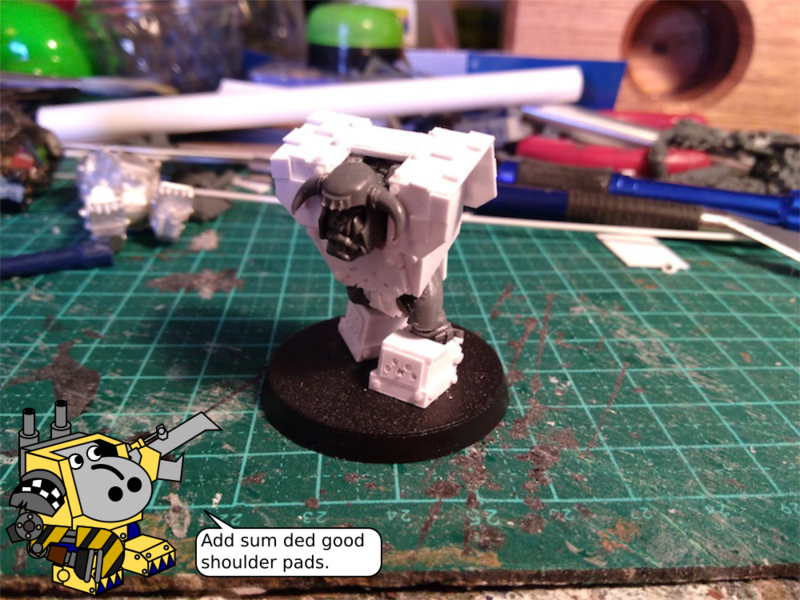 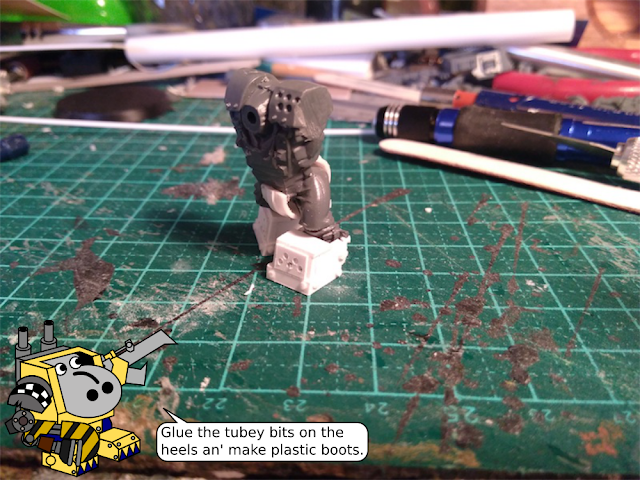 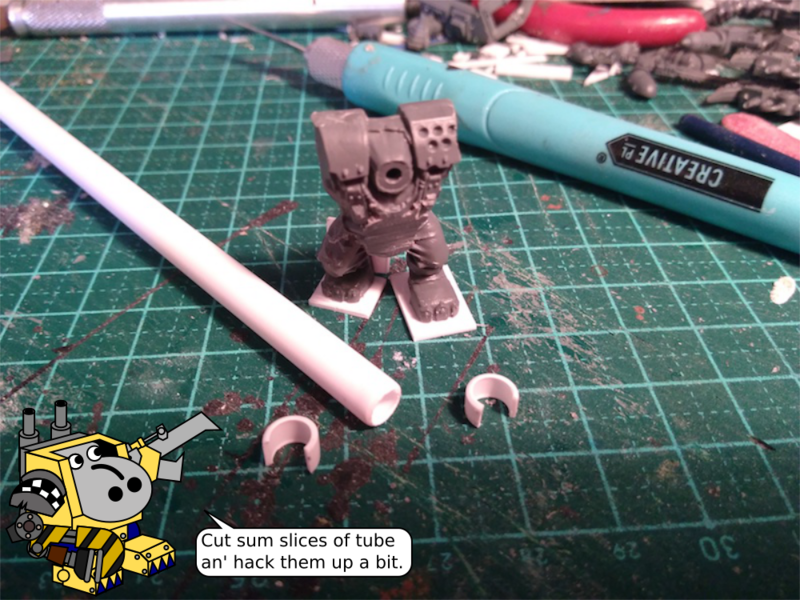 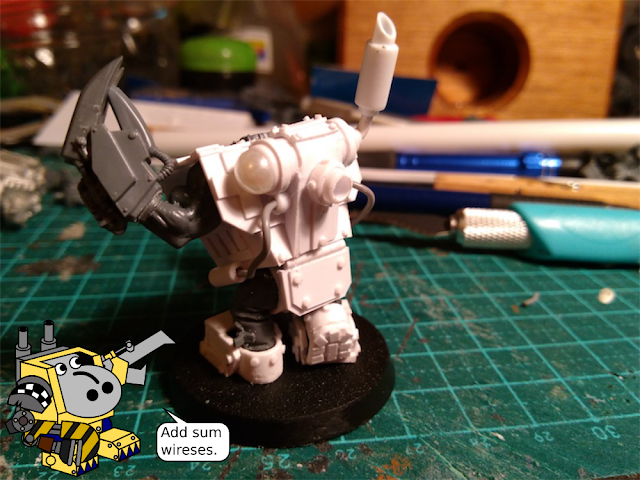 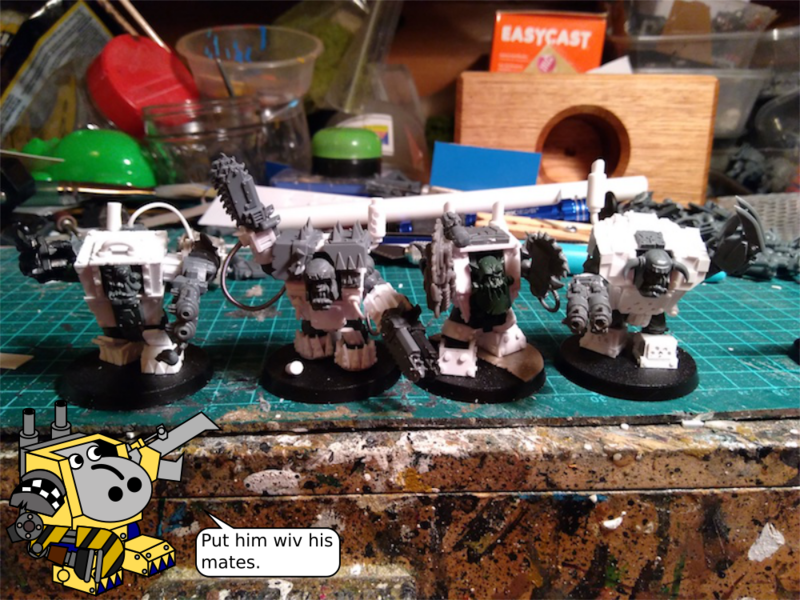 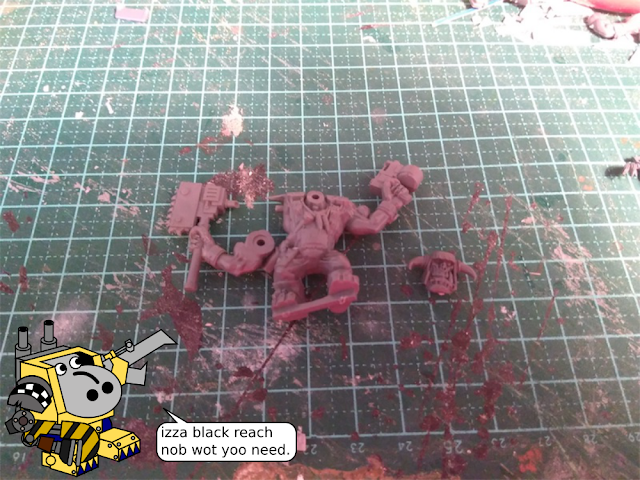 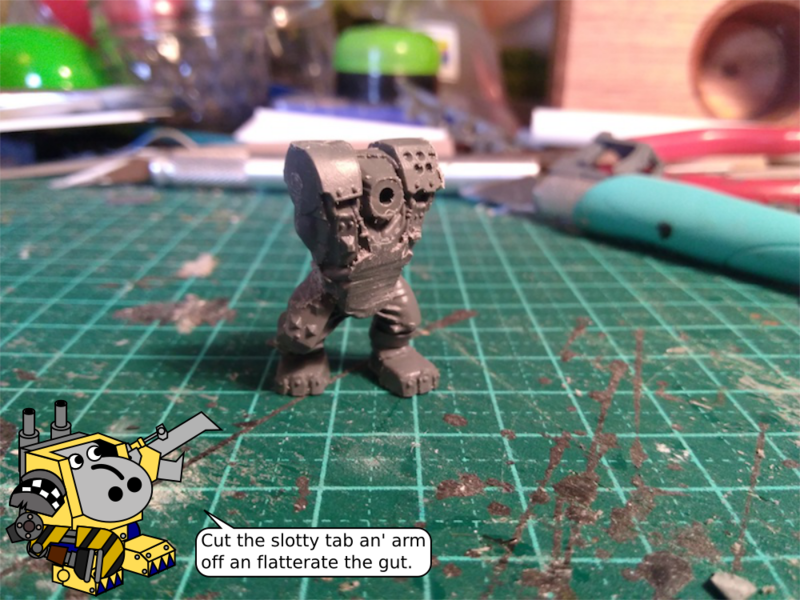 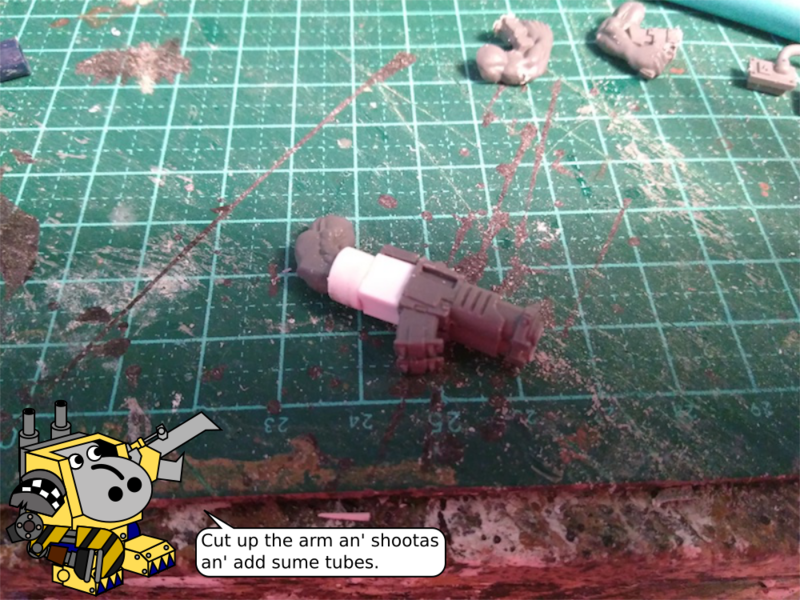 It's not hard to upgrade black reach nobs to mega nobs - here's Grot to show you how! 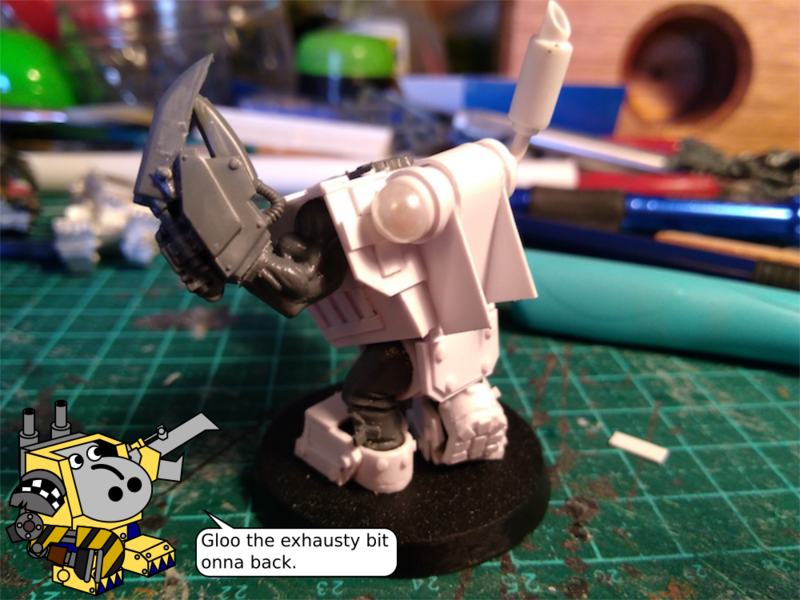 And there you have it Hippo Fans! 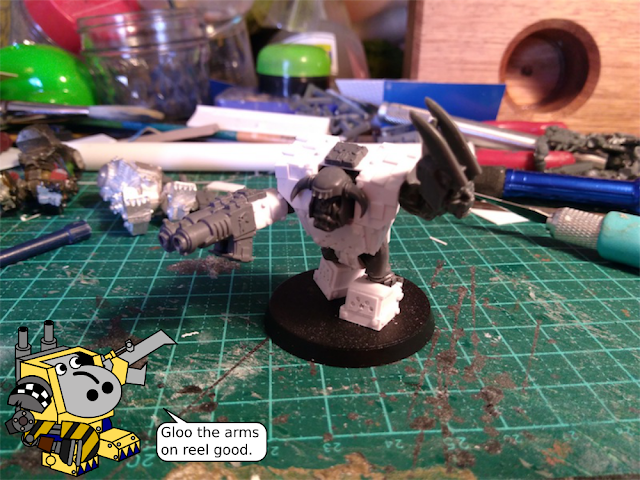 It's not that hard to make yourself a meganob, and the results are well worth it. For your convenience, here are the rough dimensions for the torso armour - you may need to modify these a bit to suit - all four of my meganobs use slightly different shapes and sizes. And for your further viewing pleasure, why not check out the video showcase of the first three Meganobs?